Ever wanted to get your hands on a matrix script, which can transact all the currencies that are available on earth (including cryptocurrencies)? If you just said YES, silently in your mind then you’re in for a treat. 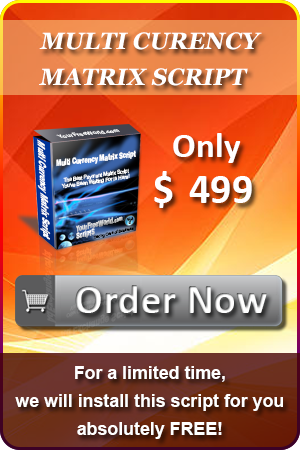 This all new matrix script includes all the features you ever wished for. However, what makes this matrix script truly unique and superior to other matrix scripts out there is its ability to give you a lot of flexibility on choosing the currency for matrices. Other features such as setting up commission payouts to each level, and offering banner views and text ads are all available in this script. 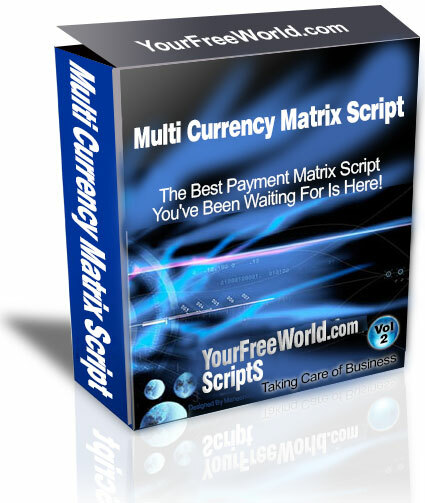 ACT NOW ‒ BUY THIS MATRIX SCRIPT. Ability to set the payout for each member that cycles through to complete the matrix. Accepting Crypto Payments via CoinPayments and you can also add 5 more merchant gateways of your choice. Accepting Fiat Currency Payments via SolidTrustPay, PerfectMoney, Payeer or use 5 Extra Merchant Gateway Option to add of your own choice.